← Change and … ? At the end of an interesting weekend, that’s the phrase that sticks in the mind. A new picture of ministry, perhaps? Nothing at all, of course, to do with the special Diocesan Synod on Saturday at which we affirmed the proposed Diocesan Strategy as Diocesan Policy. The vote was overwhelmingly in favour. But I’m not stupid and I know that all sorts of people are anxious about aspects of it. It was the interviews that helped. People may not much like pretty diagrams and management-speak – particularly not in the church. But they know authentic faith story when they hear it. And large numbers of people have been involved in the shaping of it. It’s a great moment – a gesture of faith in God and in ourselves. Not much either to do with our visit to Kinloch Rannoch on Sunday. It was one of those bright and clear mornings – but with enough autumn to give mist around the trees on the lower slopes. We slowed down and just marvelled at the view as we came over the hill to see Schiehallion and the glen below leading to Loch Rannoch and Rannoch Moor beyond. Our congregation there functions quite happily without a resident priest. 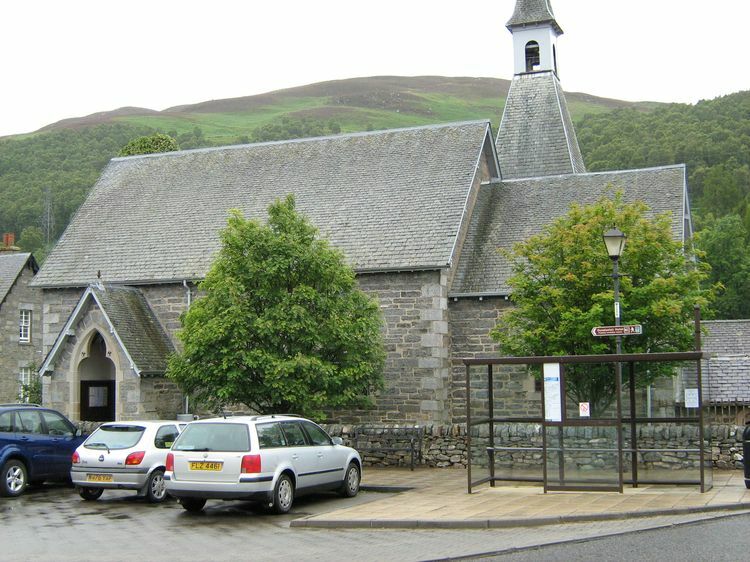 They run the church, have an ecumenical partnership with the Church of Scotland and are involved with the community in running the internet cafe and the petrol station. In fact, they could comfortably run a modestly-sized cathedral. The early documents of this building were lost in a London taxi by Col. Parker, probably around 1950. We therefore have no exact details. The church however has attached to it a mausoleum belonging to the Macdonald family. Three of the General’s children are buried there. The fourth is commemorated in the church itself but he died storming the palace of the Begum at Lucknow. His brothers, the Lt General who lived at Dalhoshnie, and the Major who died of heatstroke during gun drill at Meerut and sister Jemima who died in Southampton are in the mausoleum. I recall a doorstep chat with some JWs oncce when recently ordained – So you’re the curator of the local church? they asked – No, the curate, I replied.